Pilot program, which begins July 1, rearranges Harbor Patrol’s role in managing city’s waterfront. NEWPORT BEACH ― A new way of managing the harbor is going into effect in Newport Beach starting July 1, as previously reported in The Log. 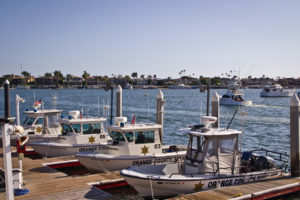 Boaters with harbor-related matters will no longer interact with the Orange County Sheriff’s Department when it comes to mooring management and similar issues. A pilot program going into effect this summer will have Newport Beach city staff and private contractors taking over various harbor responsibilities. Utilizing office space at Marina Park, city staff will manage administrative duties related to the harbor, such as mooring rentals and transfers. The pilot program aims to make the management of Newport Harbor more efficient by consolidation services into one location. Newport Beach already has a phone application called “MyNB,” which might be expanded to include services under this new plan. City Manager Dave Kiff said the pilot program would place city staff on a boat and greet people on the water, informing them of rules on anchorages and guest moorings. The city already owns one boat and is considering renting or leasing additional boats. Shifting management responsibilities away from the Harbor Patrol, which is managed by the Sheriff’s Department, would help city officials realize its goal to provide a more welcoming and customer-service focused harbor. “The model will rely more on technology, more on private contractors and involve the city activities, specifically at Marina Park with the goal being a little bit more friendly process – nothing against the Harbor Patrol,” Kiff stated during his presentation of the plan to the Newport Beach City Council. City or private contractors – not the Harbor Patrol – will be responsible for handling emergency towing of an unsecured vessel under the pilot program. Newport Beach City Council member Marshall “Duffy” Duffield shared a story about how his boat came loose from a mooring one night during a “50-knot squall.” Duffield, without any assistance from Harbor Patrol, moved the boat back to her mooring the following morning. Private services such as SeaTow or Vessel Assist would offer assistance in similar emergency situations under the pilot program. City staff, as part of the pilot program, would also be trained on such citation issuance, code enforcement, monitoring of noise violations from charters or other boats, time limits on public docks, and fishing regulations on public piers and docks. 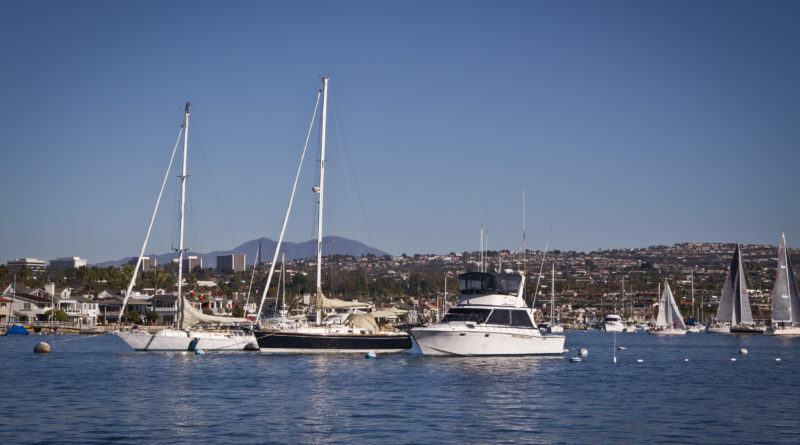 “Previously we’ve had a complaint-based culture in terms of code enforcement on the harbor where unless a resident complained, the noise from a charter boat continued,” Newport Beach City Council member Brad Avery stated. The pilot program would ultimately reallocate harbor management responsibilities to give Harbor Patrol greater liberty to focus on law enforcement. “There is always a role for the Harbor Patrol. This is not an attempt to boot them out of the harbor, because they have a critical law enforcement role especially that relates to offshore kinds of things whether its immigration or drug enforcement,” Kiff said. Kiff separately presented this new model to the Newport Beach Harbor Commission. Commissioners, though supportive of the pilot program overall, had questions and concerns. “The City Council and Harbor Commission want to see this succeed because we believe the harbor community (residents, tenants and visitors) will have a better experience dealing with a staff member in a polo (or Hawaiian print) shirt than a law enforcement officer with a badge and gun. That extends to code enforcement and nuisance issues on the harbor as well, which we were told WOULD be covered by this move,” Harbor Commission chair Paul Blank wrote in an email to The Log. Commissioners specifically have questions about the pilot program’s provision to direct towing or other similar response services to a private contractor such as Vessel Assist or SeaTow. A pilot program, as Avery pointed out, is an opportunity for people to provide feedback and for the city to fine tune certain procedures. Brian Ouzounian, a Newport Beach resident, said the policy changes could be confusing and detrimental. “I can give you one example and that was Natalie Wood’s death out of Catalina, where there was a policy change; and, there was confusion; and, there was a response that was delayed; and, she died,” Ouzounian stated at the Newport Beach City Council meeting. Ouzounian also expressed his concern about law enforcement and the security of his home on the water. Harbor Patrol will still be doing law enforcement, Avery assured. A representative of the Newport Mooring Association, Carter Ford, said he is in support of this new plan. Dan Gribble is a local boater, a mooring holder, a member of the Mooring Association and in the boat business. He also supports Newport Beach’s pilot program. The plan still needs to be finalized and various factors need to be vetted out, such as determining hours of operation, budgeting and staffing. The city is considering hiring a harbormaster as well as additional part-time staff and volunteers. “I look forward to coming in and figuring out how we’re going to do a better job and serve the harbor better and hopefully for less money,” City Council member Scott Peotter said. Hours of Operation M-F, 9 a.m. to 5 p.m.